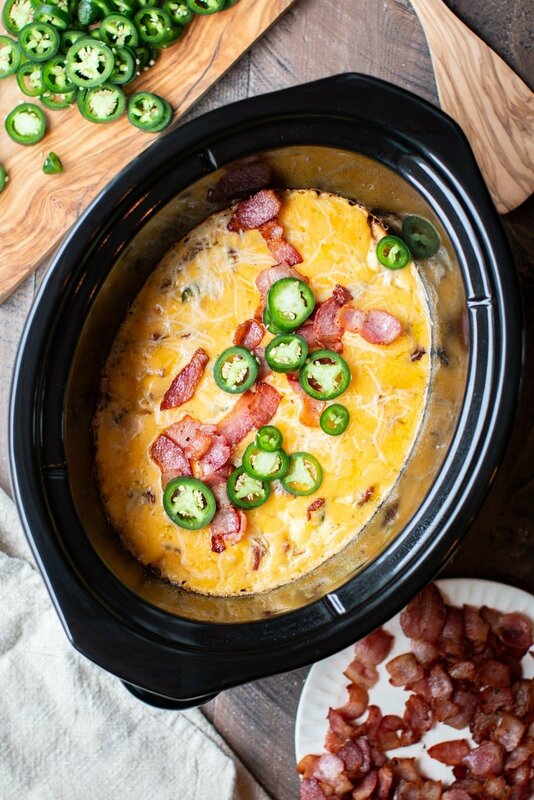 Plenty of flavor in this Slow Cooker Jalapeno Bacon Crustless Quiche! 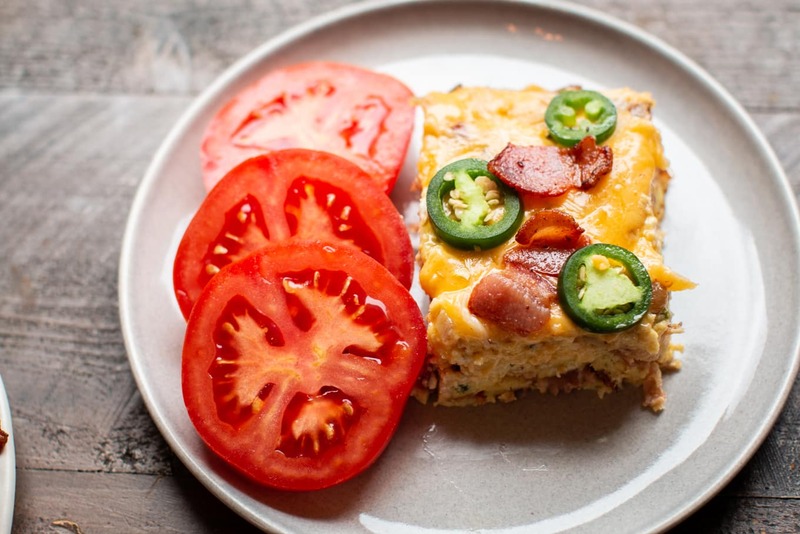 What made me think about making this recipe is a quiche my co-worker Fred brought into the post office when I worked there years ago. We all would sign up for one day of bringing in food during the Christmas season. 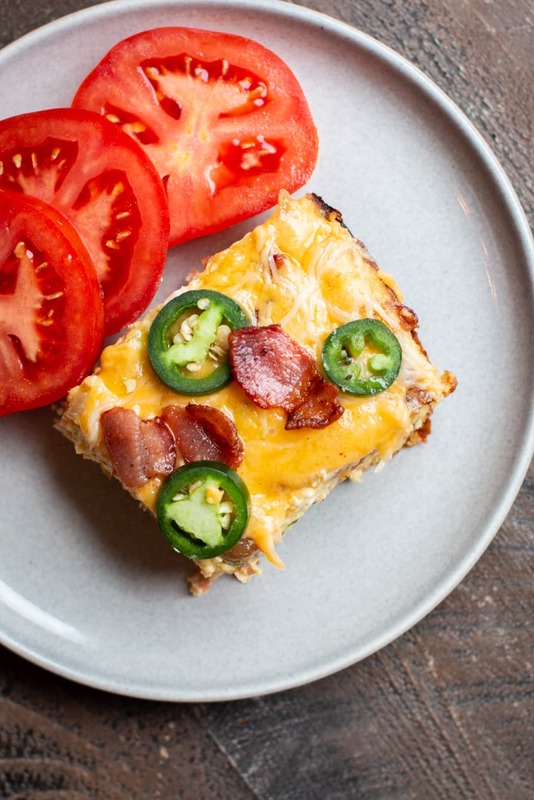 He brought in two big quiches filled with bacon, jalapeno and cheese. 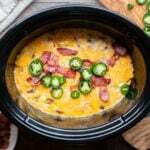 I’m surprised I am just now thinking of trying this in my slow cooker! 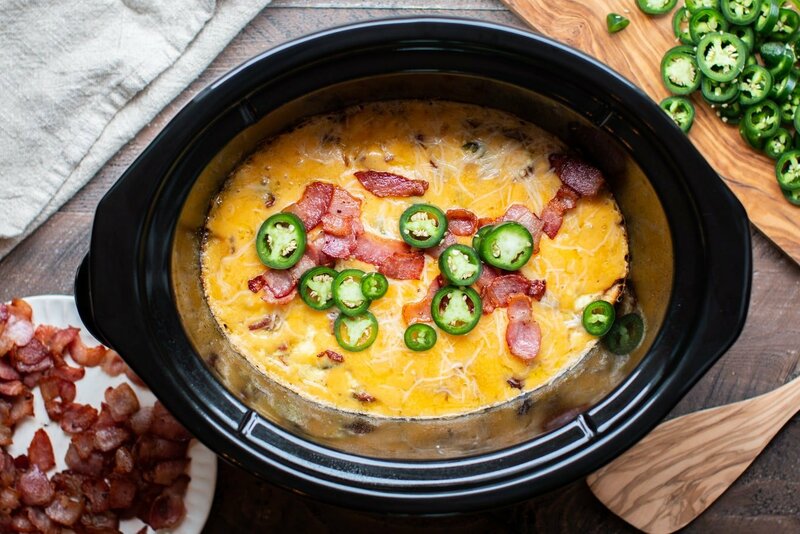 This recipe takes about 2.5 hours to cook up in the slow cooker. So allow time. 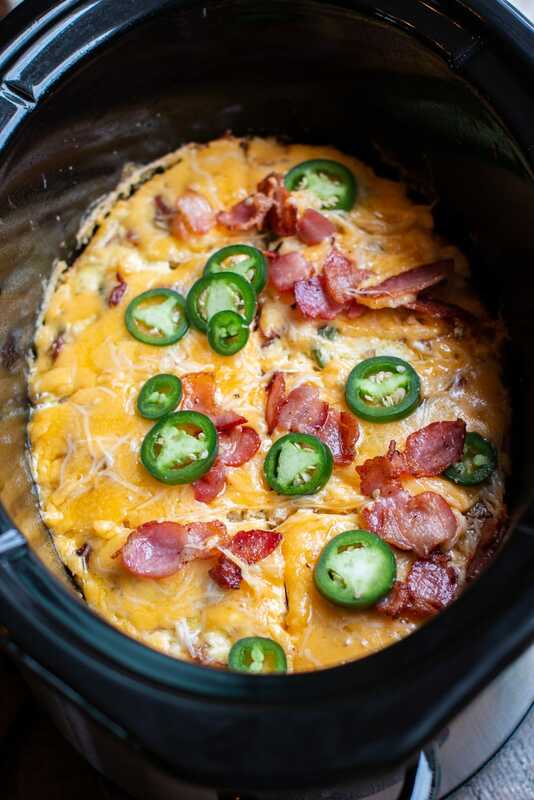 I like to make slow cooker breakfast casseroles on a Friday night for dinner, then heat up the leftovers Saturday morning. I hope you enjoy this recipe! I have a big announcement coming soon. I will announce when I hit 35,000 followers on YouTube. You can follow me on YouTube, here. Slice the bacon, then cook in a medium-sized skillet set over medium high heat. When the bacon is browned transfer to a paper towel covered plate. Leave the grease from the bacon in the pan (leave as much or little of the grease as you want). Add the onion and jalapeno to the bacon grease and cook until softened, this make take about 5 minutes. Set aside and let cool down while you get this next step ready. In a large bowl add the eggs, cream cheese, salt, pepper and garlic powder. Whisk togehter or use an electric mixer. Cream cheese chunks left in the mixture are perfectly fine since they will taste great in the quiche. 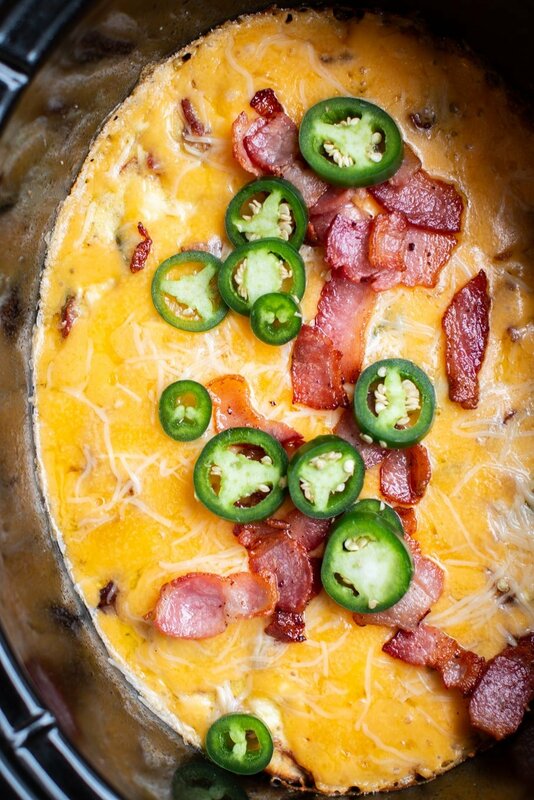 Stir in the bacon, the cooled jalapeno and onion, 1 cup of the cheddar cheese and 1/2 cup of the parmesan. Spray the slow cooker with non-stick spray then add the quiche mixture. Cover and cook on HIGH for 2 hours 15 minutes to 2.5 hours. You will know it's done when the center is no longer jiggly. Add the remaining cheese over the quiche and put the lid back on. 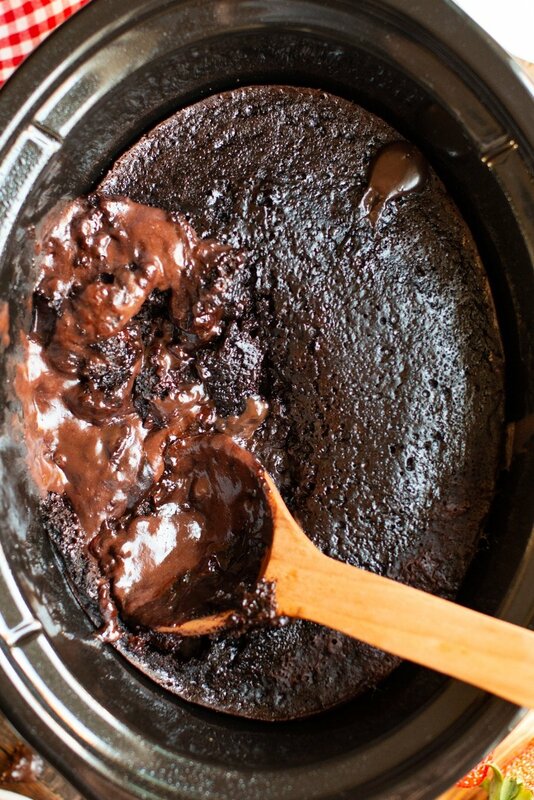 Let melt, this should only take a few minutes. Slice and serve. The leftovers are great too! Nutritional values are approximate. Please use your own calculations if you require a special diet. Values below are for 1/8 of the recipe. Can this recipe be doubled? How would you adjust your cooking time? Thank you! I have not done that many eggs at a time in the slow cooker. I’m unsure if it would set in the middle in time before the edges start burning.